For all his wisdom, one has to wonder about Solomon. He did so much for himself. As his life progressed, it sometimes seems that nearly everything he did was for Solomon, not the citizens of his kingdom. For having eyes in his head, he sure seems to be walking in darkness in today’s Old Testament reading. Paul could have continued walking in such darkness, keeping the religious laws as his fathers had done, and imagining that he was righteous for doing so. He might have remained blind on the Damascus Road, except that in his darkness, the Light broke through when Jesus Christ revealed himself. Called by God’s grace, Paul then walked with the eyes of the Spirit in his head and heart, taking the gospel to the world. Those who follow Christ, give him to others. Once they have been prepared for the kingdom of heaven—after becoming a disciple of Jesus—they give this treasure to others. 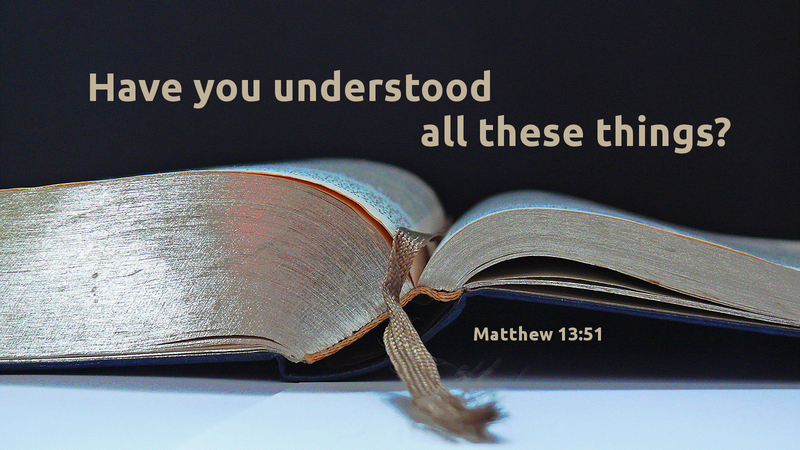 Disciples of Jesus Christ continue to learn from “what is new and what is old,” from the whole Scripture, but they do not keep it in their personal treasury. They pass Christ on to others. Prayer: Lord, help me to walk in the light of your Spirit, revealing you to others. Amen.